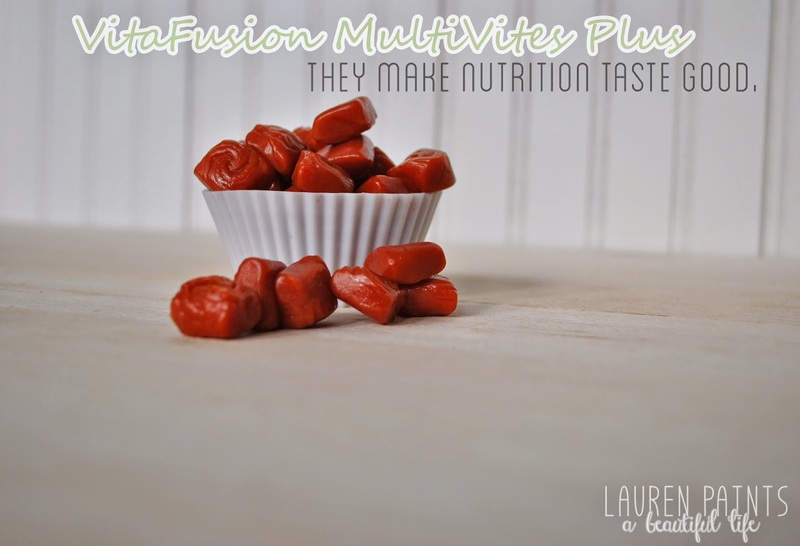 VitaFusion MultiVites PLUS - They make nutrition taste good! I've always been a bit of an under-achiever when it comes to living a consistently fit & healthy lifestyle, but this year I've really been trying to stick to a lifestyle change. 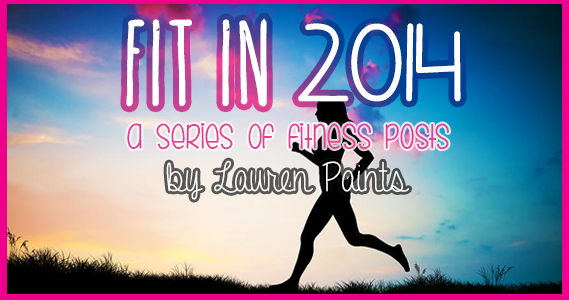 I want to get Fit in 2014, hence the series on the blog. I'll be honest, even with my determination this year to change, sometimes it's hard to force myself to work out, eat healthy, or even remember my vitamins. I've also really just hated taking vitamins in the past because they leave a weird "lump" like feeling in my throat, plus normal multivitamins have a horrible taste. I've always been told they were important so I would bare with it and take them anyways but I never really was fond of taking my vitamins... Until now! I was given the opportunity to try out VitaFusion MultiVites this month and there is no way I'm going to forget to take my vitamins anymore, these yummy gummy vitamins are perfection. They are stacked full of goodness and the taste is phenomenal, truly unlike any other. 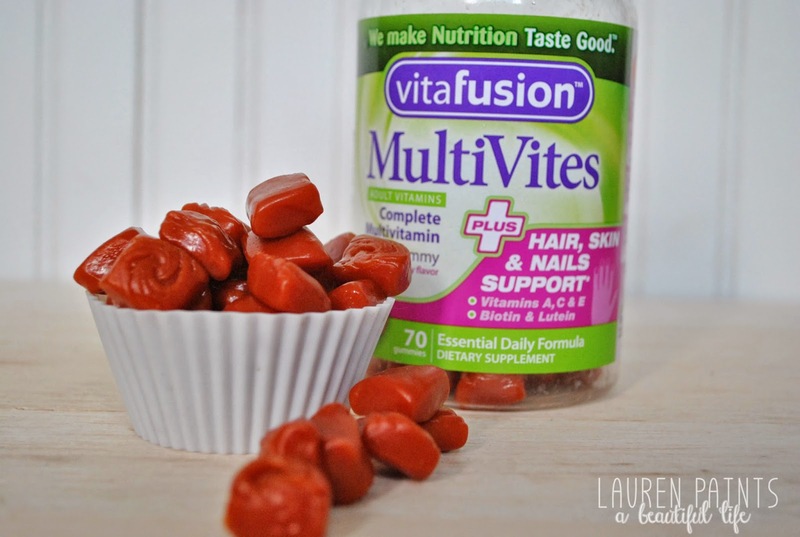 I became a huge fan of the Vitafusion MultiVites PLUS Hair, Skin, & Nails support, they are berry flavored and absolutely delicious - seriously the healthiest way to "cheat". The explosive flavor of berries is comparable to eating fresh fruit and the texture is just like that of fruit snacks - perfection! Plus, they are an excellent source of vitamins A, B, C, & D - as well as biotin and lutein. Vitafusion MultiVites PLUS Digestive support are equally as delicious with a variety of fruit flavors in every bottle! Their flavors seem to include grape & orange as well as a few others I can't quite put my finger on. They offer 3g of dietary fiber as well as plenty of vitamin A, B, C, and D! What's unbelievable is the fact that they offer so many different variations of vitamins in gummy form - everything from heart support to basic immune support to just calcium tablets, they even offer prenatal vitamins! 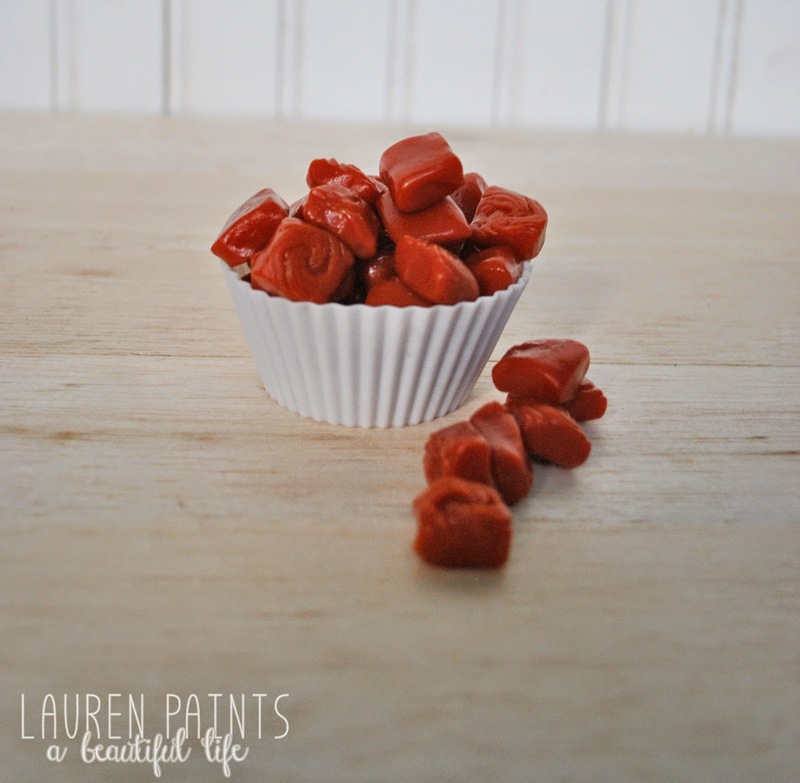 I know I'll be sticking with Vitafusion MultiVites gummy vitamins for good - they just get what I need in a vitamin, plus they are the perfect healthy answer to my "sweet tooth" craving with natural delicious flavors! If you are searching for the perfect way to start your journey to leading a healthier lifestyle, I highly suggest starting with a daily dose of Vitafusion MultiVites!